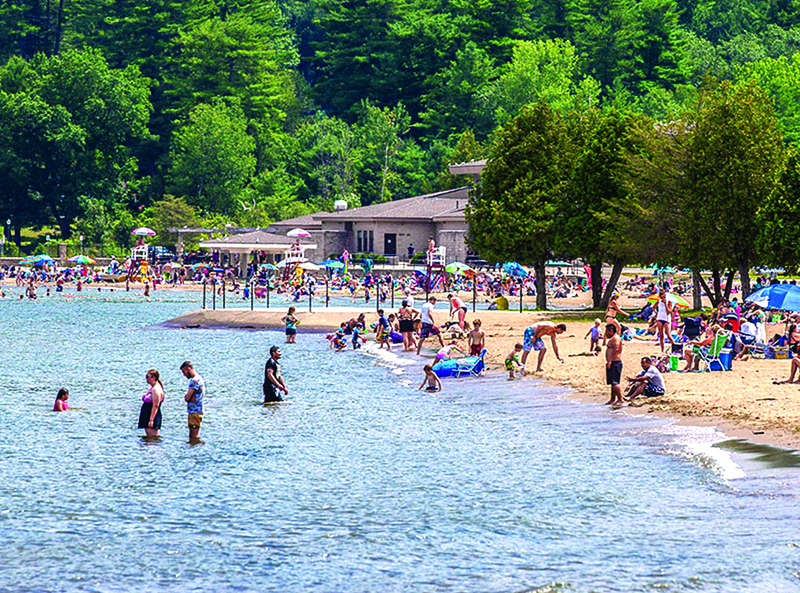 People enjoy Million Dollar Beach on Lake George. The state has awarded a $343,000 grant to upgrade wastewater collection infrastructure to protect the lake’s water quality. New York state has awarded a $343,000 grant to the town of Lake George to repair and upgrade wastewater collection infrastructure and to protect the water quality of Lake George. The funding is provided through the $2.5 billion Clean Water Infrastructure Act and is part of the state’s ongoing efforts to improve water quality statewide. The Adirondack Civic Center Coalition made its final payment of $50,000 to the city of Glens Falls, completing the lease-purchase of Cool Insuring Arena. 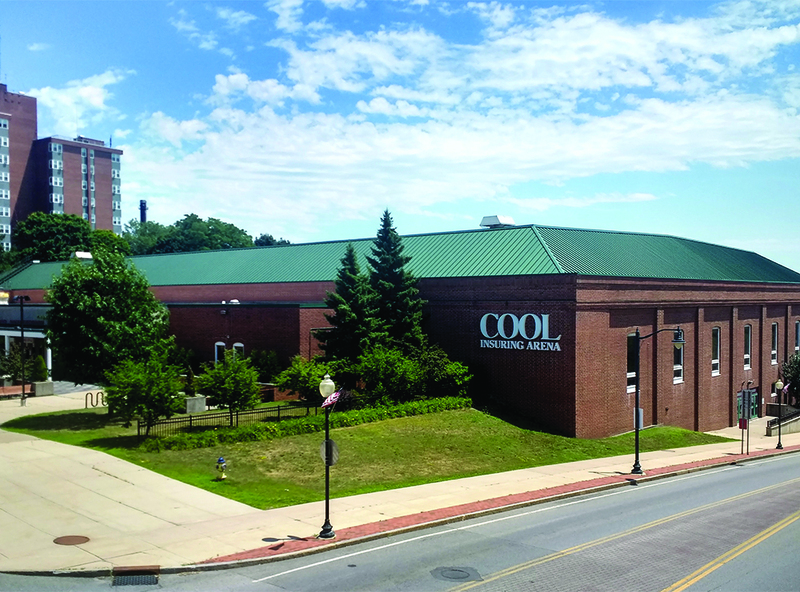 The Adirondack Civic Center Coalition made its final payment of $50,000 to the city of Glens Falls in June, completing the lease-purchase of Cool Insuring Arena. While the monetary component of the agreement has been fulfilled, the arena is still under lease from the city until the end of 2019, at which time the coalition will exercise its option to purchase the arena for the sum of $1. The total cost of the agreement was $600,000. The last vestige of General Electric Co.’s manufacturing presence in Washington County will soon disappear when work is completed demolishing the last building of the manufacturing plant on Route 4 in Fort Edward. The plant in Fort Edward was built in 1942 and used for manufacture of motors and, later on, industrial capacitors. It was also the source of polychlorinated biphenyls (PCBs) used in the manufacture of the capacitors. General Electric recently spent several years and millions of dollars to dredge those PCBs from the Hudson River. A nearby manufacturing site in Hudson Falls has also been stripped of its buildings. That operation was discontinued several years ago and the building was removed last year. Adirondack Knockerball rents inflatable balls for people to play Bubble Soccer. Hunter Werner, owner of Adirondack Knockerball, has introduced a new recreational sport to the region. 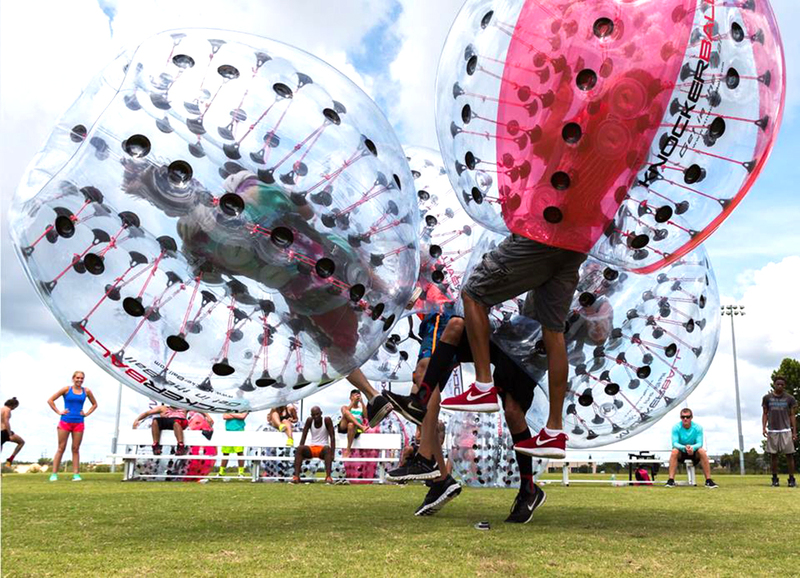 Called Bubble Soccer, the equipment is a four-foot inflatable “knockerball” that the player straps himself inside of, encasing their body from the knee up. The sport is safe, fun, and even a novice can play, said Werner. “You just need enough weight to hold up the ball,” said Werner,. He said there is a smaller Knockerball for kids ages 8 through 12 and an extra large for above-average sized adults. NBT Bank announced that retail market manager Ian Townsend has been promoted to vice president. Townsend has over 13 years of experience in the financial services industry. 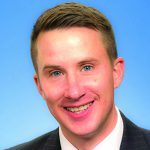 After completing NBT’s management development program, he advanced to positions of increasing responsibility in the bank’s Albany and Saratoga County branches. He was named assistant vice president in July 2015 and was promoted to retail market manager in June 2016. Townsend is responsible for managing the teams at NBT’s 12 branches in Clinton, Essex, Saratoga and Warren counties. This is the bourbon room that is part of the Downtown Social restaurant on Glen Street in Glens Falls. The room was opened within the establishment in May. Craig Merrell is on a mission to make a contribution to the revitalization and economic growth of downtown Glens Falls. He now has two eateries with “downtown” in their names. Downtown City Tavern at 21 Elm St. opened in 2013. His newest venture, Downtown Social, located at 190 Glen St., opened the doors to its bourbon room in early May, its main restaurant the first of June, and its deli in early July. Merrell said he was looking to fill a gap among downtown restaurants with an establishment that offers deli take-out food and fine casual dining at the same time, along with live entertainment. Evan Jalazo stands in front of Escape LG, the business he owns with his wife, Beth, at 14 Beach Road in Lake George, across the street from the public docks. 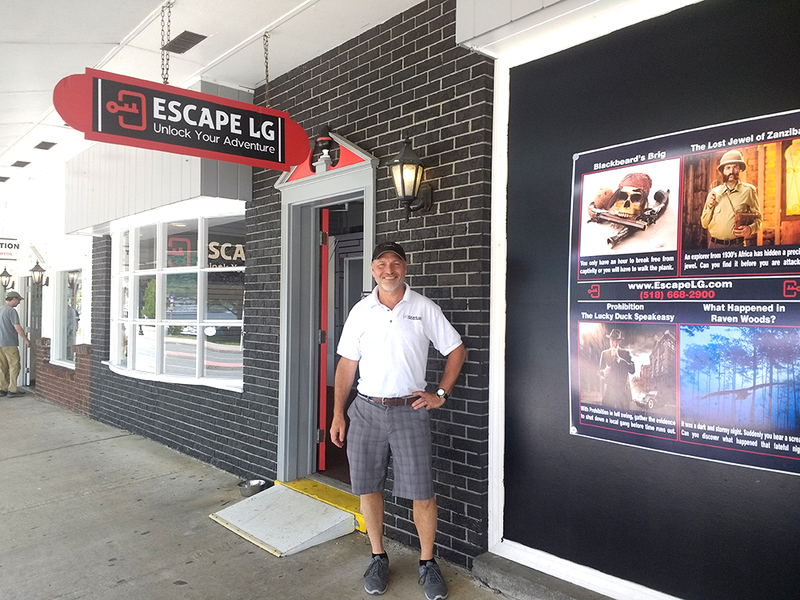 A new Lake George attraction, Escape LG, provides its customers an opportunity to experience adventures like being on an African safari, visiting a speakeasy, being on a pirate ship, or make their way through a haunted forest—all indoors within the confines of its building. The attraction also has themed mystery rooms that require visitors to think their way through an adventure. Owners Evan and Beth Jalazo said the these interactive adventures have been well received since the Memorial Day grand opening. The LGRCC is now the lead agency for the Adirondack Beverage Trail. 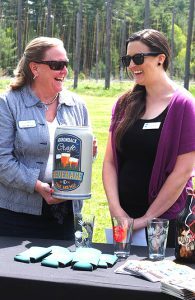 The Adirondack Regional Chamber of Commerce has transferred the Adirondack Craft Beverage Trail initiative to the Lake George Regional Chamber of Commerce & CVB. Chef Mike Cirelli is surrounded by staff at Sans Souci restaurant that re-opened in Cleverdale after a year’s hiatus. The building was constructed in 1914. Sans Souci, the iconic restaurant in Cleverdale, at the southeast end of Lake George, re-opened after a year’s hiatus, with new owners and a new chef. 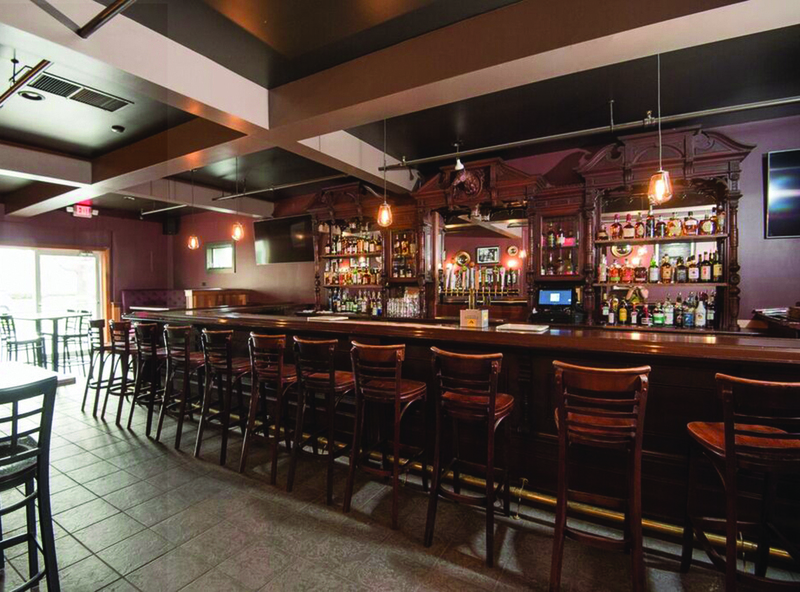 After a “soft” opening May 15, the establishment celebrated its grand opening on June 20. The restaurant, located at 92 Mason Road, is open seven days a week for a 4-6 p.m. happy hour through dinner and remaning open until 1 a.m.
A local restaurant and informal community center for almost 100 years, the former owners of Sans Souci were about to convert the building into a house. A group of nine investors were able to purchase the property, which includes a small cottage as well as the restaurant building. People work out at the Fitness Hangar on Main Street in Queensbury. The gym focuses on small-group fitness classes and training sessions. It’s a little over a month since two couples came together to open up the Fitness Hangar in Queensbury. 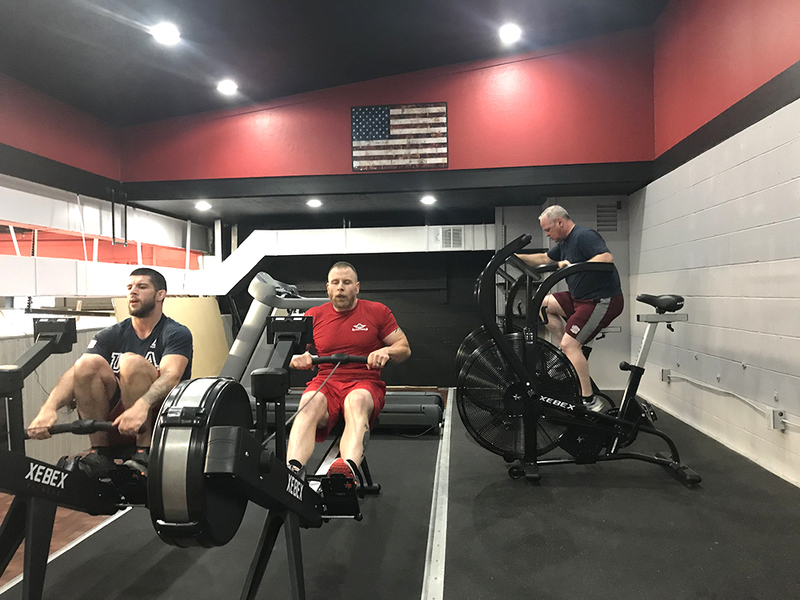 Michael and Meghan Howard, along with friends Earl and Jenny Canale, teamed up to create a gym that focuses on small-group fitness instruction, private training and education on proper nutrition. The 4,000-square-foot spaces is located at 52 Main St. in Queensbury, just a half mile off of Northway Exit 18.